If the rumors are true, CEO Randy Pitchford of Gearbox said that while they aren't currently working on a Borderlands 3, 2K Australia was working on a pre-sequel. A game to take place in the 5 years between parts 1 and 2. 1) Former Lance Assassin, the Mercenary Athena the Gladiator (from General Knoxx's DLC). 2) Wilhelm the Enforcer, whether before he became part loader we can only guess. 3) Nisha the Lawbringer, sounds a little like the Sheriff of Lynchwood (Jack's Girlfriend). 4) Fragtrap- a militiarised Claptrap. Other rumors include 2 new weapon types, lasers and cryo guns. There's also a possibility the game will have low gravity mechanics to coincide with jetpacks, and an Oxygen system for continued breathing that may also be exploited for dispatching enemies as well. 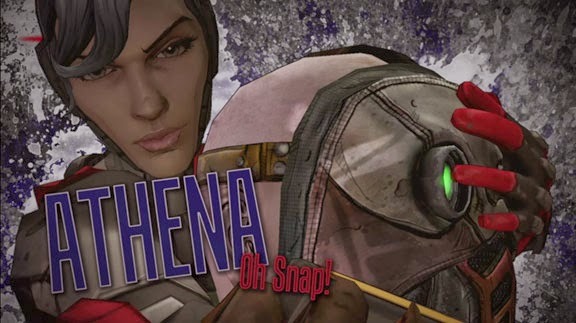 Along with Telltale's Tales From the Borderlands, and the final Headhunter Pack/DLC Sir Hammerlock vs The Son of Crawmerax, this would be another nice addition to sate my Borderlands fandom until they make a Borderlands 3 in like 5 years. I certainly hope this is true and we finally get to visit the Moonbase.